At last: a LEGO stuntman for your collection. Plus comics, puzzles and a mystery story. Nice. 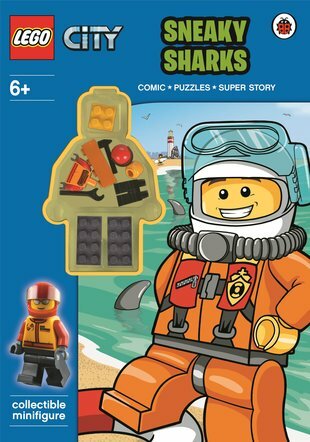 Loads of reading fun, plus something a bit different to liven up your LEGO games. (We really like that unusual minifigure.) The LEGO City residents have come from far and wide to enjoy a special daredevil show at the beach. But some crooks dressed as sharks threaten to ruin the event. Is it time to launch your LEGO stuntman into action? We reckon so!